The Pink Splash produces clusters of lavender-pink with thin, deep magenta splashes near the center (visibly less "splash" than the Mega Splash). The clusters rise just above the green foliage with a very faint zonal pattern. 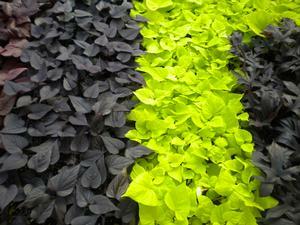 The Americana Geranium produces a deep green foliage with a faint zonal pattern. 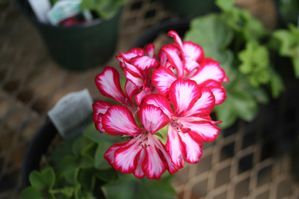 These geraniums are desired most for their beautiful foliage, semi-double blooms extending above the foliage, tolerance for heat and its mounding habit. This is a great annual for Spring, Summer, and Fall. 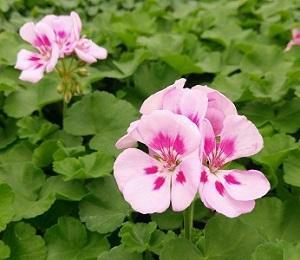 With the mounding habit of the American Geranium, this is a lovely choice for mixed containers and beds. The Americana Geranium prefers full sun to partial shade and a bit milder climates. 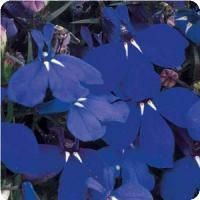 It prefers average, moist but well-drained soil. Trimming back dead blossoms encourages new blooms. Please remember, containers aren’t as drought resistant, they may need a little extra TLC and consistent watering if in containers!